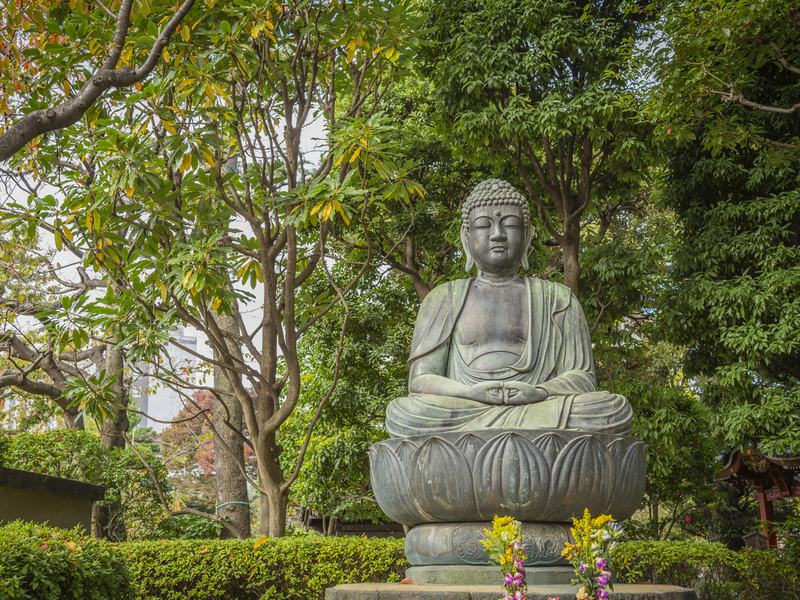 'Why Buddhism Is True' Looks At The Religion's Link To Science : 13.7: Cosmos And Culture In his new book, Robert Wright explores Buddhism's take on our suffering, our anxiety and our general dis-ease — where he sees it lining up with scientific fields, says blogger Adam Frank. Here is one thing author Robert Wright and I agree on when it comes to Buddhist meditation: It's really, really boring. At least, it's boring in the beginning. But there is another thing we agree on, too. That initial meditative boredom is actually a door. It's an opening that can lead us to something essential, and essentially true, that Buddhism has to teach us about being human. Wright's insight on this point is just one of the many truths in his delightfully personal, yet broadly important, new book Why Buddhism Is True. The "true" in Wright's title doesn't refer to the traditional kinds of scriptural truths we think of when we think of religions and truth. Wright is explicitly not interested in the traditional aspects of Buddhism as a religion. The book, for example, makes no claims about reincarnation or Tibetan rainbow bodies or the like. Instead, Wright wants to focus on Buddhism's diagnosis of the human condition. The part that is relevant to the here and now. It's Buddhism's take on our suffering, our anxiety and our general dis-ease that Wright wants to explore because that is where he sees its perspective lining up with scientific fields like evolutionary psychology and neurobiology. "Two of the most common Western conceptions of Buddhism — that it's atheistic and that it revolves around meditation — are wrong; most Asian Buddhists do believe in gods, though not an omnipotent creator God, and don't meditate." 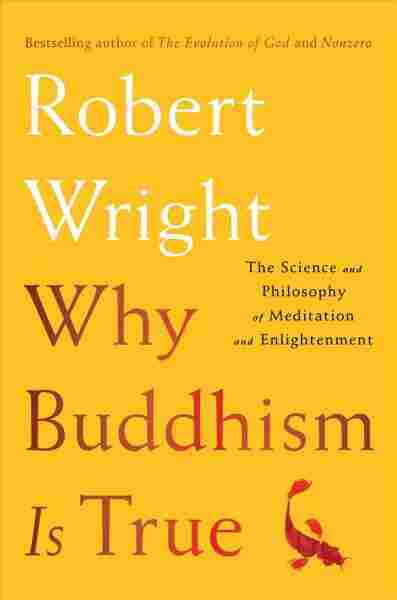 Wright also acknowledges that even within this "scientific" Buddhism he is interested in, there are also enormous differences between various philosophical schools of thought, many with 1,000-year histories. "I'm not getting into super-fine-grained parts of Buddhist psychology and philosophy," he tells us. "For example, the Abhidhamma Pitaka, a collection of early Buddhist texts, asserts that there are eighty-nine kinds of consciousness, twelve of which are unwholesome. You may be relieved to hear that this book will spend no time trying to evaluate that claim." I was happy to see Wright address these issues of history and interpretation head-on. No matter where Buddhism's encounter with the West takes it, ignoring history doesn't do anyone any good (I've tried to explore these issues myself here at 13.7 and elsewhere, including here and here). But with those important caveats, Wright is then forceful in his main argument that "Buddhism's diagnosis of the human predicament is fundamentally correct, and that its prescription is deeply valid and urgently important." "Don't get me wrong: natural selection has its virtues, and I'd rather be created by it than not be created at all — which, so far as I can tell, are the two options this universe offers." These lines give you hint of Wright's tone throughout the book. He is very funny and uses his own experiences to drive to the book's questions. In particular, it was his first experience at a week-long meditation intensive two decades ago that launched his journey into Buddhism and "contemplative practice" (i.e. meditation). His accounts of time spent on "the cushion" are full of self-effacing humor and real insights. "There are other spiritual traditions that address the human predicament with insight and wisdom. But Buddhist meditation, along with its underlying philosophy, addresses that predicament in a strikingly direct and comprehensive way." That broad nonsectarian approach is an important part of Wright's approach. Raised as a Southern Baptist, he left the church in his teens. But he doesn't look back in anger. Perhaps that is why he isn't arguing that people need to become a Buddhist to practice its truths. As he writes: "Asserting the validity of core Buddhist ideas doesn't necessarily say anything, one way or the other, about other spiritual or philosophical traditions." Later, he reminds us of the Dalai Lama's admonition: "Don't try to use what you learn from Buddhism to be a better Buddhist; use it to be a better whatever-you-already-are." Which takes me back to that whole meditation is boring (at least in the beginning) thing. One of the best parts of Wright's book is its realism. No matter how many books you read on Buddhist insights into human beings, they won't mean much unless you find yourself a regular practice. It's the practice that counts. It's the practice that slowly lets you see the delusion in our constant stream of desires and aversions. That is, after all, why they call it practice. Wright does an excellent job of unpacking this reality for his readers, demonstrating again and again how contemplative practice can lead to understanding and how understanding can lead to an important kind of freedom.